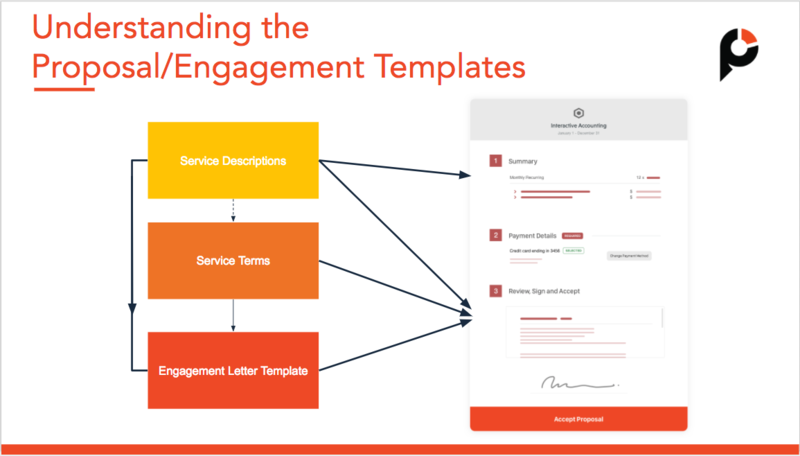 What is the difference between Service Descriptions, Service Terms and the Engagement Template? 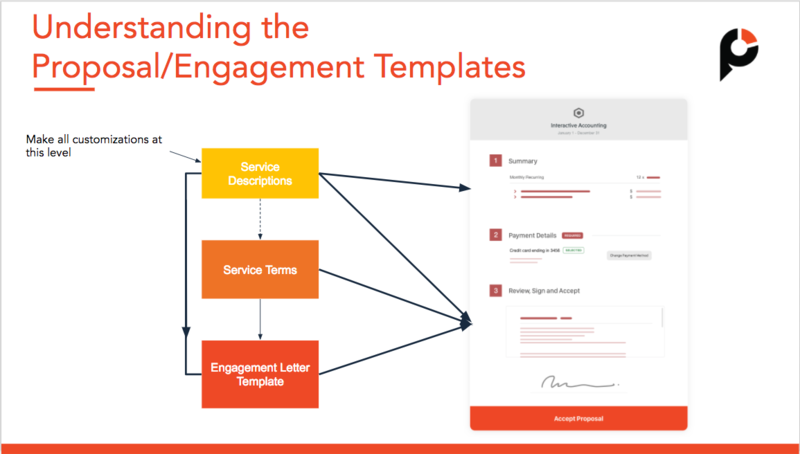 Understand how Service Descriptions Service Terms and The Engagement Template work together to create the perfect contract for your client. Purpose? Defines the scope of work of a specific service. What should it include? A concise description of deliverables, timeline, Software and Limitations. Purpose? Optional terms that can be be dynamically included in your engagement letter. What should it include? Useful for appendixes, additional legal terms or SLA's. Also useful for including third party app privacy policies. Can it be customized per client/proposal? No. Example: Note, any items listed in the service for this item that have not been lodged in the previous periods may require an amended engagement for the additional work. What should it include? The standard terms and conditions of engaging your practice, regardless of the services being provided. Can it be customized per client/proposal? - Scope and fee schedule. I need to change my terms for a specific client. What's the best way to do that? Why can't I just include service specific terms directly in the engagement letter? You risk including terms and conditions that might be irrelevant to the client. At worst, this could de-rail the acceptance of your proposal, At best, it creates a poor customer experience.